Corporate Walks and Events with Striding Ahead LLP. About Striding Ahead Corporate Adventure Service. The Striding Ahead LLP team is passionate about the outdoors, combining this with our ability to tailor-make events to suit the needs of our varied clients we are able to guarantee an exciting, challenging and structured adventure day out, which can include: accommodation, transport, customised branded clothing and guest speakers. Both Ian and Gareth also have an extensive corporate / commercial background which assists Striding Ahead LLP to deliver the high standards of service, care and communication expected by our clients. Ian has a lifelong love of the dramatic scenery of the U.K. and abroad. 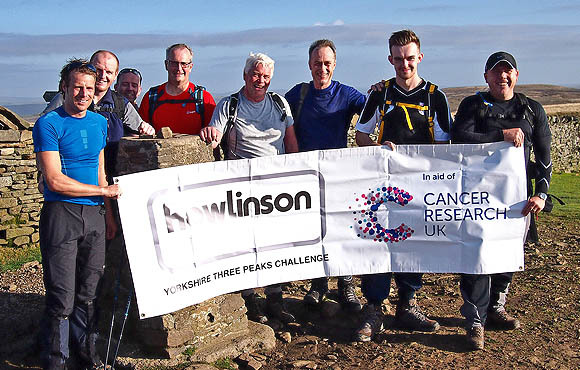 He has summitted many the UK’s major peaks and has participated in extended trekking expeditions in the Andes, High Atlas and Sierra Nevada ranges, as well as leading similar expeditions in Iceland and China. Ian decided in 2011 to "call time" on a 32-year banking career and joined Striding Ahead LLP shortly thereafter to allow him to pursue his passion for the outdoors on a full-time basis. Ian is a qualified Mountain Leader, and an active member of The British Mountaineering Council and The Mountain Training Association. He is fully qualified in Outdoor First Aid. 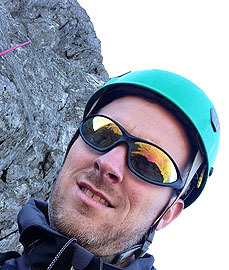 Gareth has over 20 years’ experience in trekking, rock climbing, winter climbing, caving, potholing, canyoning, skiing and mountaineering in various parts of the world. He has, over the years reached the summits of many peaks in the Alps, Himalayas, Arctic and New Zealand. In the UK, he has summitted all the major peaks of Snowdonia and The Lake District and continues in his quest as a ‘Munro-bagger’ to reach the summit of all 282 Scottish Munros. He has also spent many years climbing and mountaineering in Scotland in the depths of winter and led many expeditions to different countries over the years. 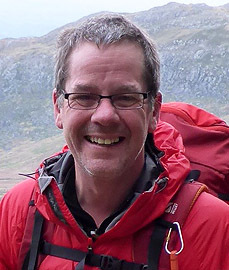 Gareth is a qualified Mountain Leader and is fully qualified in Outdoor First Aid. Gareth formed Striding Ahead LLP in 2005. Striding Ahead LLP operates predominantly in The Lake District, North Yorkshire, Snowdonia and The Peak District and offers a Corporate Adventure service to suit our customers' specific requirements. We offer three grades of walking adventure - ranging from straightforward to very challenging. The areas in which your event will take place have been selected by Striding Ahead LLP for their natural beauty, outstanding wildlife, challenging terrain and convenient location. All members of the Striding Ahead LLP team, full time, part time, freelance instructors or volunteers are experienced and have a passion for the outdoors. All walk leaders employed by Striding Ahead LLP have a strong familiarity with the areas in which events are held and are qualified with the relevant NGB qualifications as well as being fully qualified in First Aid. All walk leaders employed by Striding Ahead LLP carry the appropriate safety kit for an event, such as mountain safety shelters, first aid kit and from time to time mobile radios. The actual safety equipment carried will be appropriate to the event. Striding Ahead LLP is fully insured with a public liability of £5,000,000 along with employer's liability insurance for its employed freelance instructors and Activity Specialists / Technical Advisors. Striding Ahead LLP has its own equipment pool for use by clients and which contains a selection of boots, waterproof coats and trousers, gloves and hats. Striding Ahead LLP only uses suppliers that help us to provide our high levels of service and expertise.